Ultimate Power for Ultimate Cleaning Performance! 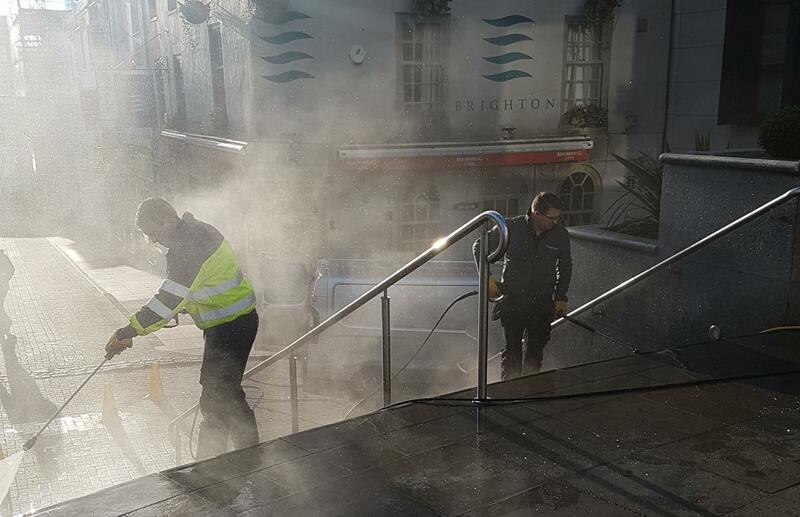 The Powerex 16:200H Hot Diesel powered van mounted jet wash system was used in an early morning demo clean at a site in Brighton recently. The well-proven Honda GX390 petrol engine is coupled via a gearbox to a Comet triple plunger pump. The industrial grade dual lance, hose and other hardware means that this machine is your reliable number one for commercial work, day in and day out. The 800L on-board bowser has a twin operator set up for maximum productivity. On this demonstration, we showed how to remove stains, grease marks, gum, algae and general grime from exterior paving with great results. 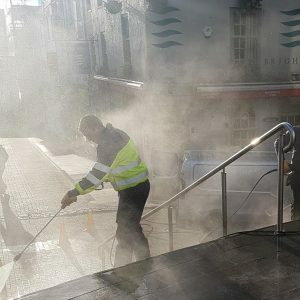 Choose Powerex as your ultimate solution for retail centres and mobile deep cleaning teams!